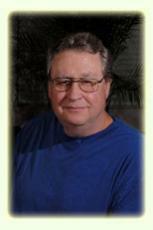 Richard G. Young, Ph.D. has been a licensed psychotherapst for the past thirty-one years. He is the clinical director of Pathways Counseling Center in Riverside, California, a large, multidisciplinary private practice specializing in the treatment of children, adolescents, adults, couples, and families. Dr. Young's specialties include individual, marital, and family therapy, energy medicine, and the integration of psychology and spirituality. He is also the founder/director of the Community for Conscious Living, a nonprofit educational organization since 1992 that offers classes, seminars, and retreats in meditation, mindfulness, and other contemplative practices to laypersons and therapists. Richard is the author of "Paths of a Prodigal: Explorations into the Deeper Reaches of Spiritual Living" published by Larson Publications.